Your personal eyewitness on the road, with integrated GPS and lifetime safety camera alerts. With the new, stylish and lightweight MiVue 618 you’ll always have proof of what really happened on the road. 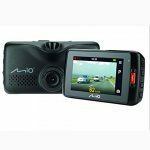 For your convenience, the dash cam will start recording when you start your car. 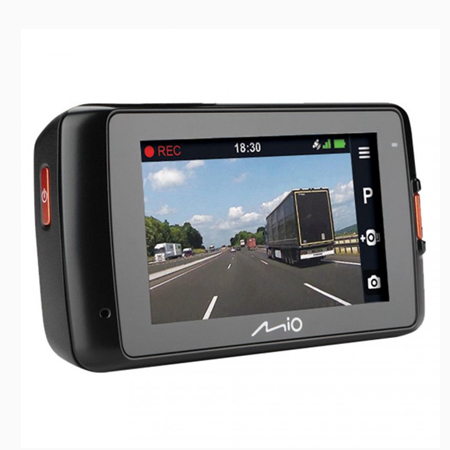 The Extreme HD 2304 pixel camera records your journey, functioning as your personal eyewitness on the road. So in case of an accident, you’ll always have recordings of what happened. 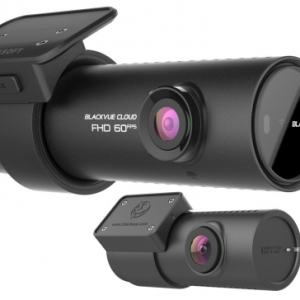 The new MiVue 618 perfectly combines a dash cam with GPS tracking and safety camera data, which makes it the ideal solution for everyone who wants to feel safe while driving. 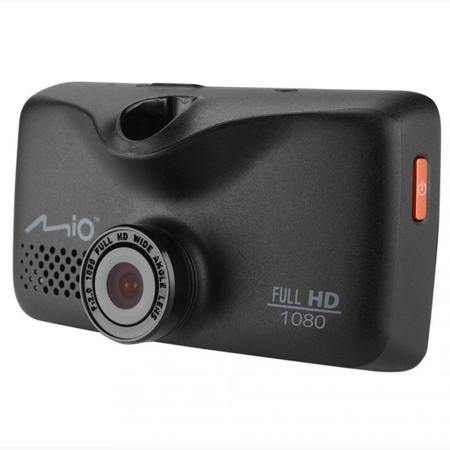 Mio’s dash cams have the ability to record every vehicle journey including capturing the moment of an impact so can help provide proof before, during and after an accident. 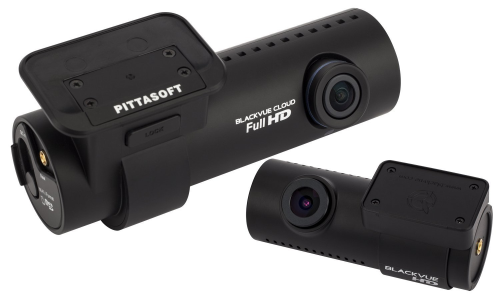 Recorded proof from the dash cams can be used to help resolve accident liability claims, ‘stop cash for cash’ claims as well as protect your ‘No Claims Bonus’. Feeling and being safe on the road is paramount! So why not protect yourself against instances of road rage and become more aware of your own driving speed with the safety camera alerts. 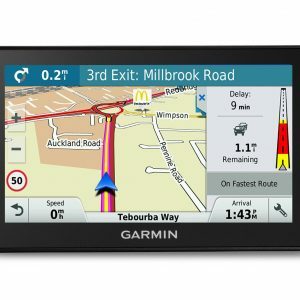 Automatically records your driving information, including speed, altitude, longitude, latitude and heading. 140° wide-angle lens to capture every detail at critical moments. Mount is easily rotated to any desired angle for video evidence collection. *Requires constant power supply accessory Smartbox, available separately. Offers a sound alert if you drift away from the centre of your lane. Offers a sound alert if you go over the speed limit. 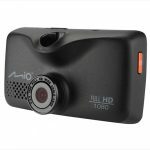 Use the dash cam as a camera for close-up accident evidence collection. The pictures include your GPS coordinates, so you know the exact location of what happened. The MiVue™ 618 starts recording when you turn the key to start your car. 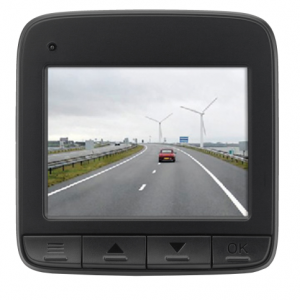 You can even choose to have the device always on recording, which is possible in vehicles with constant power supplies. Intuitive interface allows you to browse recorded videos with speed control. 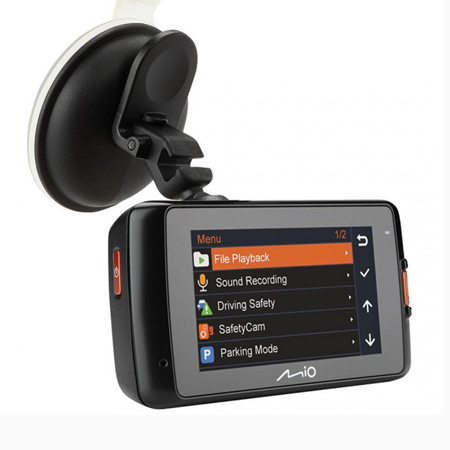 Records your driving directions with a 3-axis G-Sensor for post accident analysis. Combine videos and share them to social media sites like YouTube™ & Facebook®. 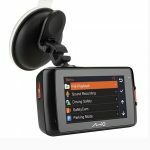 Track your routes with the GPS receiver. Play video with tracks on Google Maps.